For the Birds: The Finale! 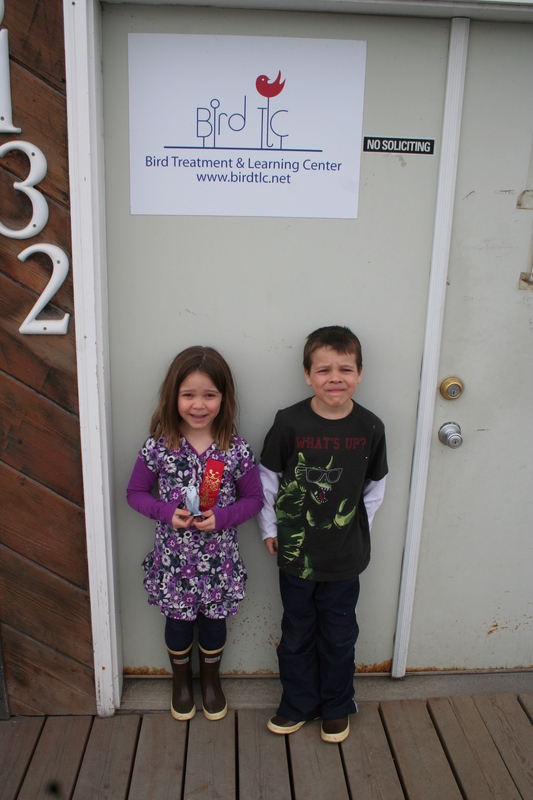 Today we delivered Maggie’s donations to Anchorage’s Bird Treatment and Learning Center. 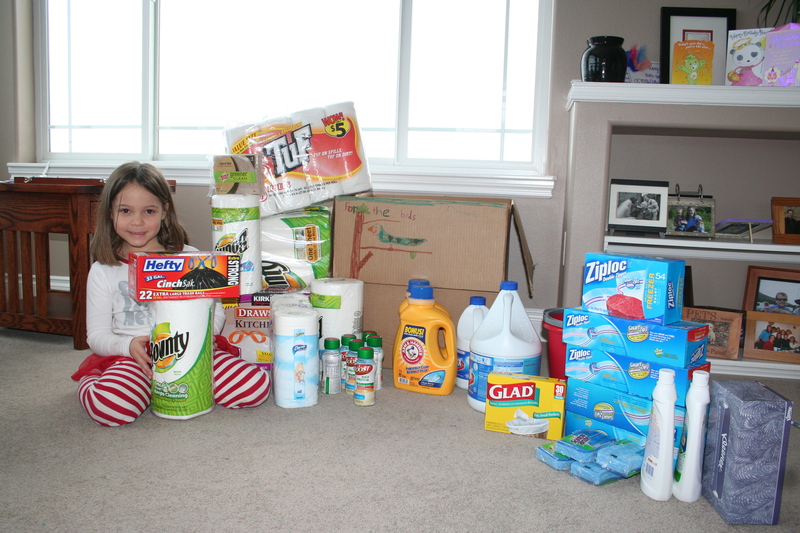 Instead of birthday gifts, Maggie’s classmates brought everything from bleach to toilet paper to help stock the supply cabinet at the Bird TLC. Look at the loot for the Bird TLC! The Bird TLC volunteers and employees were so appreciative that they offered Sam and Maggie a mini tour of their facility. 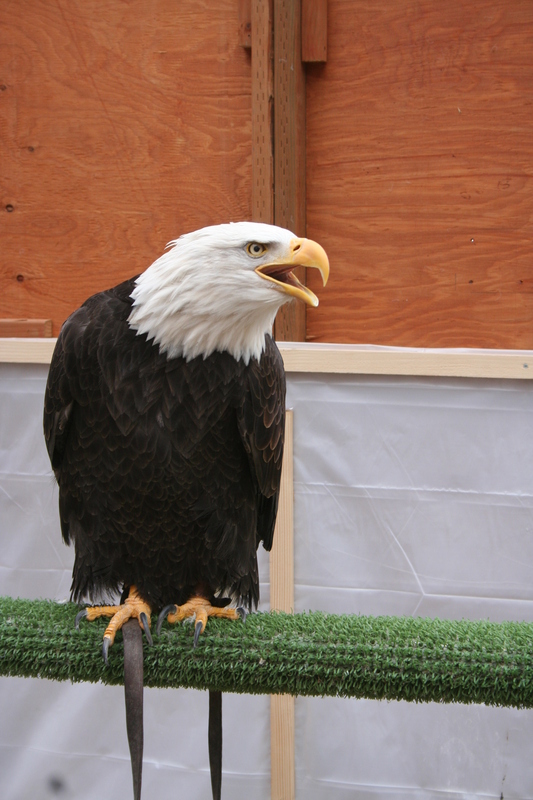 The kids met a crow (yes, a crow… not a raven), bald eagles, and great horned owl. It was a nice way to end our seemingly week-long Bird Day celebration. Maggie may not have received gifts galore at her party, but she certainly got a real life gift today with the tour. Thank you, Anchorage Bird TLC! We will be back!